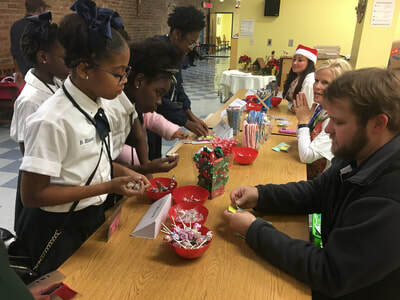 It's Christmas and the GSS students are in the spirit! 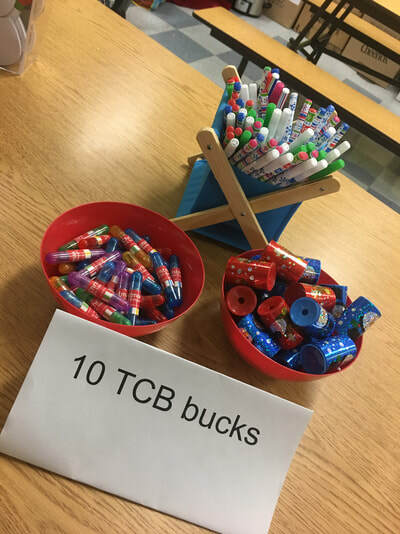 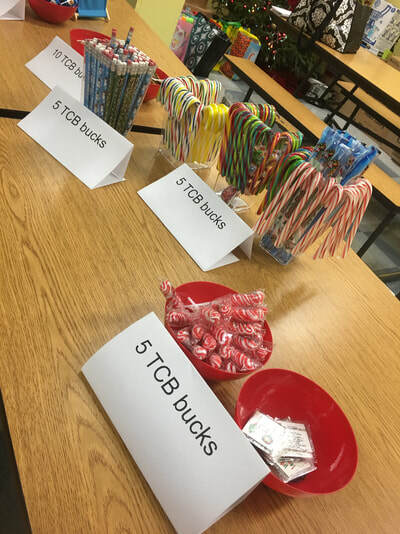 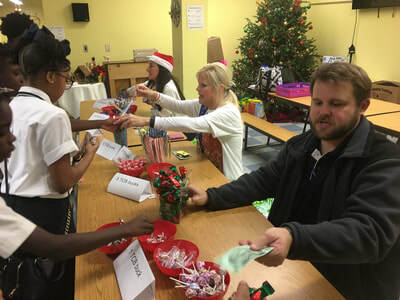 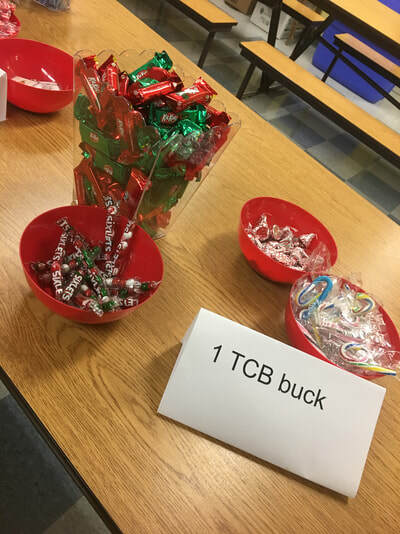 As a thank you for all of their hard work and good behavior, the students were treated to a sweet and prize shoppe where they were able to trade in their TCB bucks for a gift. 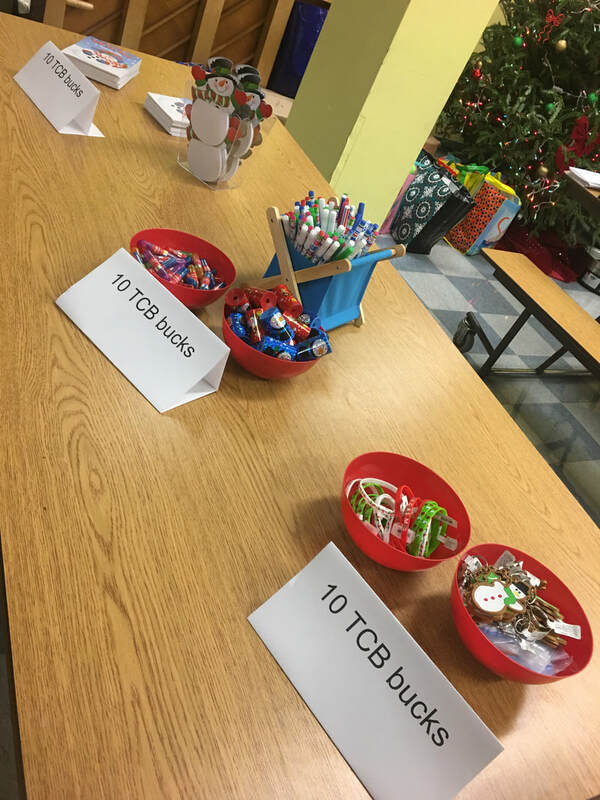 Candy, pencils, pens, and much more themed to the Christmas season were available for trade. Needless to say, the secret shoppe surprise made the Christmas Friday a fun one for the GSS students.